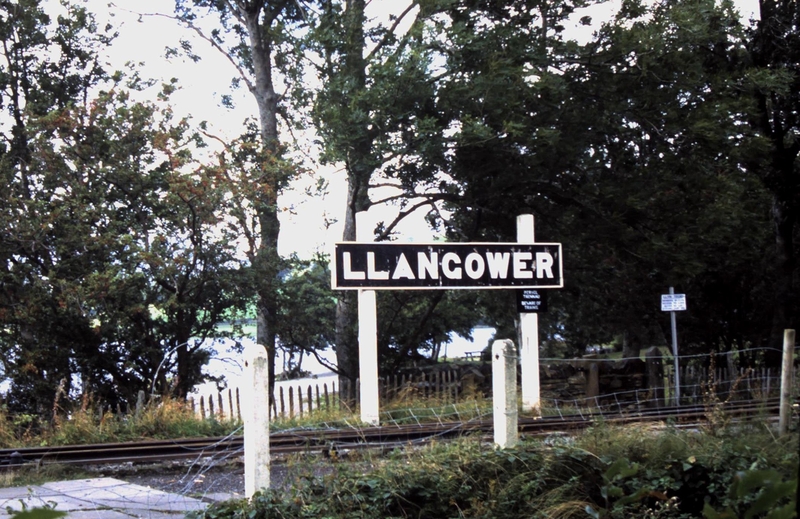 "Llangower was a minor station opened by the GWR on the Ruabon to Barmouth line in 1929 on the southern shore of Bala Lake serving the hamlet of Llangower . There was no signal box or freight facility. Today, although not in its original location the station has been reopened by the Bala Lake Railway and is the main intermediate point on the line and the only place where trains can pass each other. It is well sited to provide access to the lakeside for walks, picnics and bird watching. The station has a single platform, with the passing loop located to the east of the platform. When two trains are in service, they must use the station in turn, with the second train remaining in the loop until called forward after the first train has departed. The points and signals at the station are operated from a ground frame, housed in a ground frame shelter. Llangower is a small hamlet, with a beautiful old church, 3 miles from Bala situated on the south-eastern side of Bala lake. It is on the (original) turnpike-road leading from Dinas-Mawddwy to Bala and Corwen."